Share Your Camp Fire Story! One of the best parts of being a part of an organization with a 100+ year history is the stories. We love getting to hearing where our alumni are now—and part Camp Fire played in getting them there. So this month, we thought we’d share just a few of the alumni messages that pour into our inbox…and encourage you to share your story, too! NO MATTER YOUR AGE or number of years in Camp Fire, we want to hear from you! 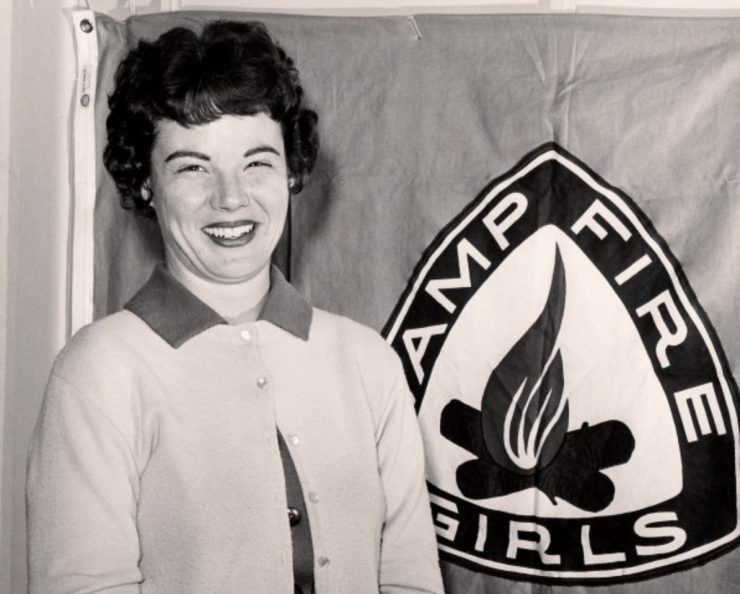 “Camp Fire Girls played a big part in my life, starting with my maternal grandmother, Annie C. Prince. 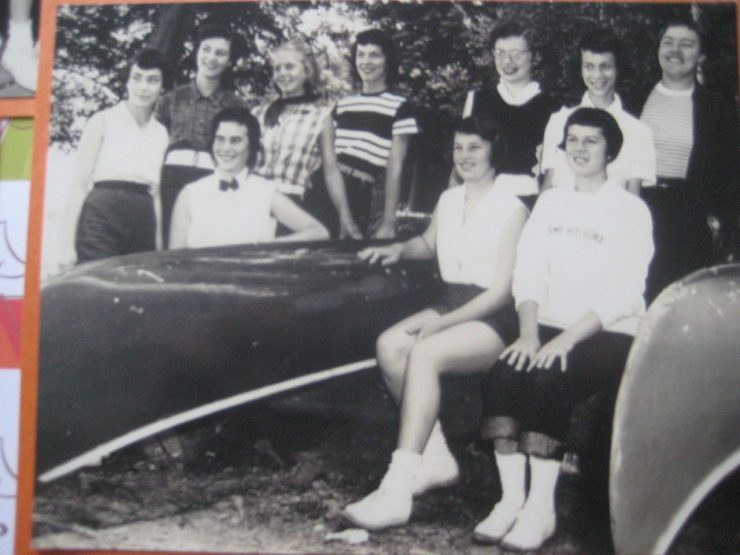 She led a group of girls (called the Abnaki Group) that my mother, Christine Prince Haley, was a part of in Westbrook, Maine. 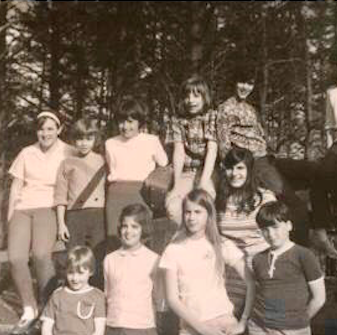 My mother followed in her footsteps and led a group of Camp Fire girls, also in Westbrook, as an assistant guardian of the Chickagami Group at Warren Congregational Church. I became a Bluebird when I was 7 years old. That was the first year that I went to Camp Hitinowa in Litchfield, Maine, on Lake Cobbosseecontee. The activities at the Camp Hitinowa included arts and crafts, canoeing, swimming lessons, camping skills and archery. We went on canoe trips on the adjoining lakes, other Maine and New Hampshire lakes, mountain climbing trips to Mt. Washington and Mt. Chocorua, and to Camp WoHeLo on Sebago Lake, where the Gulicks were instrumental in the establishment of the Camp Fire program. I was involved in Camp Fire in Maine, and later in Saugerties, New York. When I moved to New York at age 15, being able to be part of a Camp Fire group was a wonderful gift! I was with girls who had the same values and interests in a new community where I was an ‘outsider.’ But I wasn’t one for long because those were the girls that I remained friends with for many years. I selected Tanda as my Camp Fire name, meaning love, honor, and respect, and kept this name all of my years as a Camp Fire Girl. I was active in Camp Fire, earning two Torchbearer Ranks, until I graduated from high school. Tell us what you learned, what made you laugh, what changed you. My folks & I moved alot when I was very young. I started in Camp Fire in second grade on 1 side of the country. We moved twice more before we finally settled into a place on the far side of the country. In 3rd grade I began again with a brand new group. I was kinda awkward & didn’t really fit in most places. I can’t say it was an easy fit at first, but we all grew on each other. We learned to support & encourage each other. We learned to dream, create & accomplish together. We had girls come & go (this was before boys were a regular thing). In 12th grade the leader’s daughter was one of my best friends & would stood side by side as we accepted our WoHeLo’s. There are many things I do in life that stand out from the way my family does things. 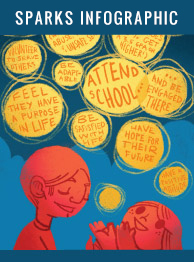 When I am asked how did I become the sort of person who volunteers & finds happiness in it? How did I become the sort of expresses myself creatively? How did I become the sort of person who leads while encouraging? There is 1 real answer – Mrs Ro Small (leader) & Camp Fire. Thank you Ventura CA Council for so many good years & so many excellent life skills. Camp Fire Girls played a huge part in my childhood. My mother, Carolyn Walker was our leader and Camp Waluta in Silsbee, Texas was an amazing place to learn independence and friendship. I have made life-long friends from this organization. 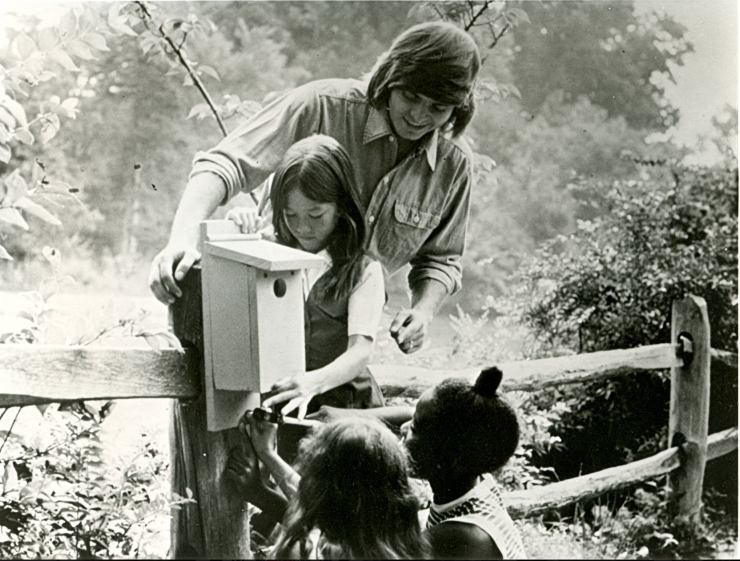 From 1968 as a second grade student/Blue Bird to 1979 as a camp counselor at Camp Waluta, I lived and loved CFG. This was in the beginning of the feminist movement and it was a powerful experience to spend summers with girls and young women leaders taking complete care of ourselves on hiking trips, biking trips and canoeing trips during our Adventures sessions at summer camp. I earned the money for camp through candy sales and we participated in many charity activities from making stockings for children involved in social services to making fun pillows for burn victims in Shriners Hospital in Galveston Texas. CFG was an integral part of life in Port Arthur Texas.